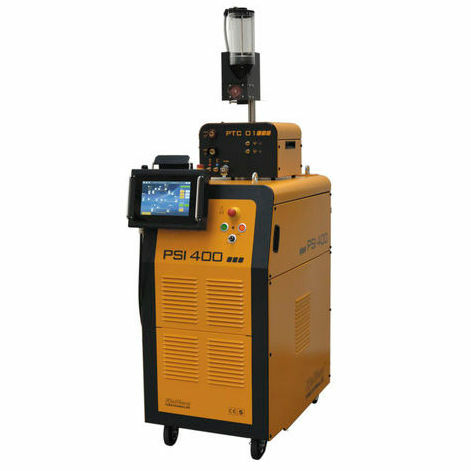 The PSI 400 is a powerful plasma power source for plasma transferred-arc welding up to 400 A - for one or two flux supplies. Beside of this the source is characterised by its comfortable intuitive operation. Several user levels offer different possibilities on the welding parameters and the data management. The operation is possible either via touch display on the power source or via laptop. The flux types are calibrated and managed in a database. During interval welding the power source is able to establish the pilot arc when the main arc is stopped, thus enabling a quick re-establishment of the main arc. This prevents repeated HF ignition pulses and the lifetime of the consumables can be increased considerably.